Obtenez ce transfert de bail pendant 37 mois pour des paiements mensuels équivalents U 276.08$/Mois +Tx apr s incitatif. Vous pourrez rouler 2,049 Km par mois. 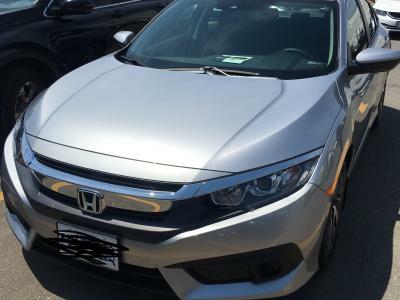 Honda Civic 2018 Fermer la fentre. 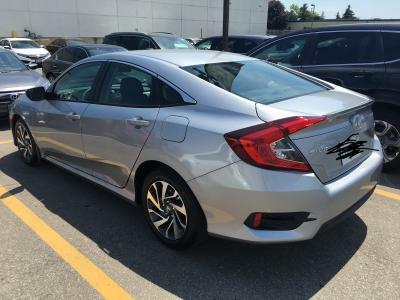 Ex: A1 condition, non-smoking, winter tires included.$500 cash incentive plus Lease Guard Protection and 4-year key coverage. 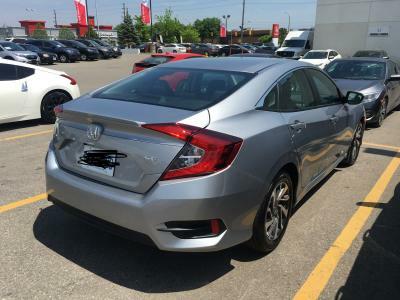 16\" aluminium-alloy wheels, deck lid spoiler, leather-wrapped steering wheel, proximity key entry system, pushbutton start, remote engine starter, walk-away door lock, Honda Sensing Technology. Take over this lease for 45 months for only $293.19 per month plus taxes. It currently has 4200 km\'s and you can drive it up to 80050 km’s at no extra cost - which is equivalent to 20000 Free km\'s per year. 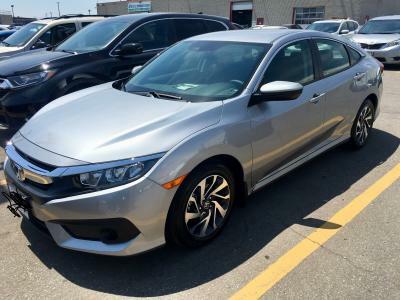 Option to buy at $10,795.20 at the end of the lease period. Please contact Shahrill for more information at 905-973-5121. $500 cash incentive awaits! !